We passed the hundred-mile mark today! 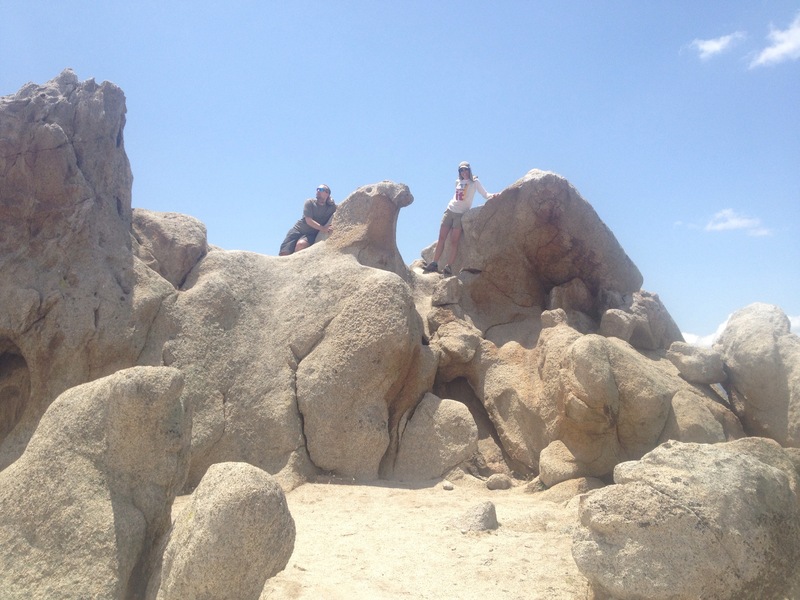 A few miles more and we stopped and took some photos at Eagle Rock. Our logistical support expert, vital to the success of our journey, wrote this lovely note and included it in our first mail drop. Yikes! I’ve never in my whole life walked 100 miles! Keep up the good work, but take care of yourselves! Wow! That really does look like an eagle! Matthew, I talked with your Mom yesterday and she sounds good. Loky is keeping her good company and has encouraged her to walk more. Good stuff! Congratulations! You fame spreads wide. 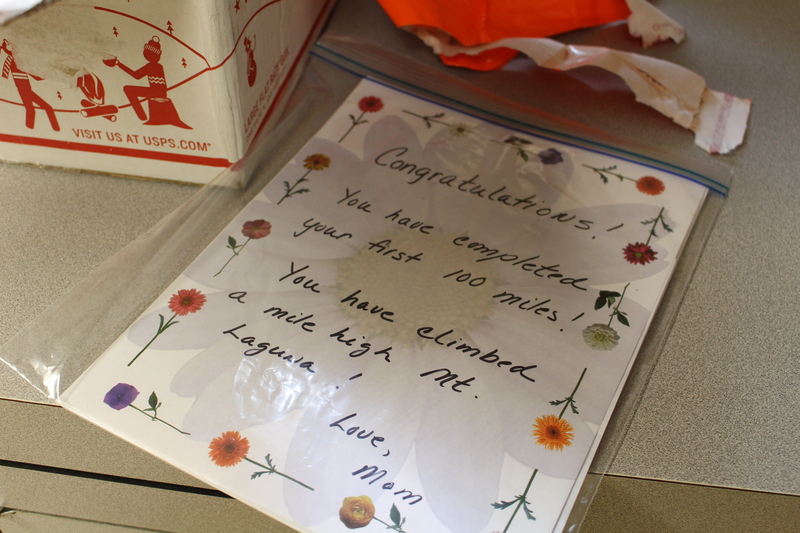 Today when my student’s mom and sister came to pick him up after class, came thru the door with ” they made it … 100 miles” I hadn’t seen your post yet. You have followers you don’t even know. Congrats! Now you only have to do this 26 more times! What a great picture! Tripod? Sleeping bags are on their way to Idyllwild. I’m preparing to mail the next food box to Ziggy and the Bear ( mile 210.8) which is on the trail So you will need to feed yourselves for the next 100 miles. Good Luck…be safe. Love this blogging. What a great way to follow you on this fantastic journey. Thinking about you two everyday. Sending love and safe travels. Pictures of birds?